The Maguire Laboratory at the Massachusetts General Hospital is focused on the development of new therapeutics to treat human disease. 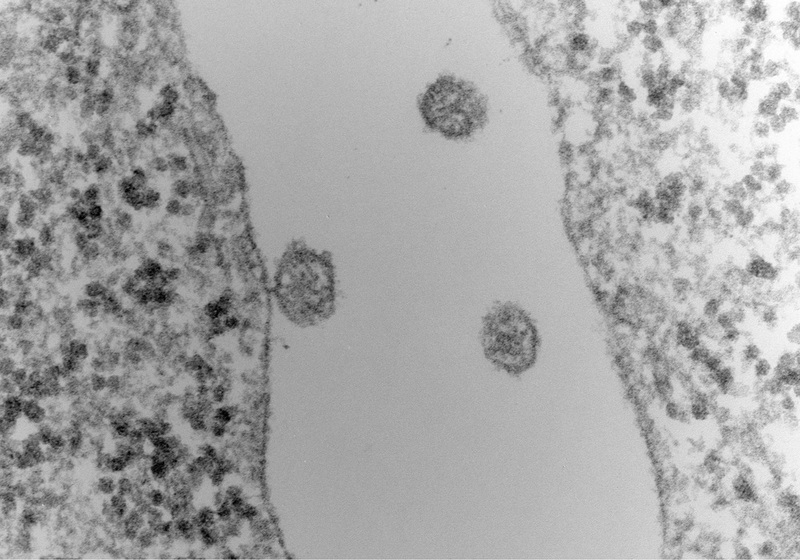 Extracellular vesicles (EVs) released between two adjacent 293T cells. We are using the properties of EVs to enhance the utility of virus vectors such as adeno-associated virus (AAV).